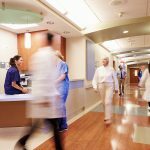 Ensuring your facility or practice is compliant with all OSHA and State regulations is one of the best reasons to choose a provider in Medical Waste Pros’ Nationwide network. Our pre-screened network of medical waste disposal companies can provide secure, dependable pickup services for regulated or infectious medical waste, sharps disposal, bio-hazardous and radioactive waste, and any other common common waste disposal (paper, liquids, etc). Click here to check out other industries we serve. We’ll help you figure out the right containers, boxes, bags, pickup schedule, and provider that works best for your level of disposal. 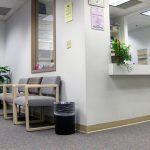 We offer free, no obligation quotes from local experts that will provide you with a quick, easy way to reduce your liability and reduce costs associated with medical waste disposal for your company or practice. Medical Waste Pros offers several OSHA-Compliant services to help you manage your medical waste disposal better. The three most popular options are regularly scheduled/routine pickup service, on-call pickup, or mail-back service. 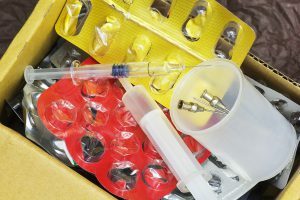 If you have a significant amount of medical waste to dispose of, our regularly scheduled service allows you to plan for ongoing pickup of medical waste- we schedule a time with your facility and will pick up and dispose of your medical waste based on your schedule, no matter if it’s daily, weekly, monthly or quarterly. All pickups are tracked and secured, and we can offer you provide a manifest for tracking and a certificate of destruction for your records. A mailback system is another safe, secure option to dispose of your medical waste properly. Each system includes all the components required to package your medical waste to be disposed at a secure facility. Utilizing a mailback system is an efficient way to collect, return and dispose of any type of medical waste. 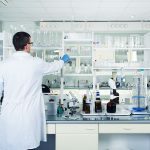 We typically offer mailback disposal for smaller quantities of sharps, soft medical waste, amalgam, and mercury, but you can utilize a mailback system for any amount of medical waste. No matter which system you choose, we’ll help you find a local provider that can assist you with the medical waste management that works best for you. Get free quotes today!